How To Get Freelance Writing Jobs For Beginners? Are you a budding writer who look for freelance writing jobs for beginners to make money in your spare time? If yes, you have landed in the exact place where you could get the details to get online writing jobs from home! Freelance content writing jobs are the buzz! Who would hate a job where the clients are ready to pay whatever amount you quote for your mere scripting skill? After all, who doesn’t like making big bucks if they have creative writing talent? For once, imagine yourself as a highly successful freelance writer – you charge a hundred bucks for an article, clients would want to hire you and hence your lifestyle would get more comfortable as days pass by! Sounds convenient? Well, it would to anyone in this world, but let me show you the current scenario! As of now, you are someone who is hardly searching for entry level writing jobs, right? No one in the industry knows how damn you write. And to make matters worse, there are thousands of writers waiting on freelance websites with their resume maybe even better than yours. Some are smart enough to pitch potential clients, irrespective of their skills. The scenario is changing, and your potential value is declining! Clients are not willing to pay more money because there are substitutes for you who are ready to work for peanuts, and you can be thrown out of the competition anytime. In such a situation, freelance writing jobs online for beginners are almost like a rocket science. Pretty simple!!! If you want to achieve what others can’t, do something that others don’t! Yes, the person who can survive the competition will be the one who is smart enough to sell his skills and attract potential customers to do creative writing jobs from home, even though there are people who are better than him/her in terms of skills. If you want to be that kind of person, read on! This article has some obvious yet crucial tips for freelance writing jobs for beginners. How To Get Success In Content Writing Jobs? Being a beginner hunting for freelance content writing jobs, you might have read a lot about getting started in this industry. Therefore, you might have found these tips elsewhere too. But I strongly suggest you read the entire article carefully. I can bet my hat that there are some points in the article which are totally unknown for beginners who seek online freelance jobs. If you want to have a lucrative freelance writing career with decent money and freedom, you should possess some core competencies and have to set your feet right in freelance writing zone to make a living as a content writer. Decide whether you want to be a full-time or part-time article writer. Set up a dedicated workplace without distraction to let your creative juice flow. Fix your writing fee (you may charge per word or charge per article). Settle on the topic of interest (you can choose the familiar niche like tech, beauty to work with ease). Become skilled at Grammar and research skills to offer error-free content. Also, learn the basic tips to become a better writer. Now, you can follow the steps given below to self-proclaim that you are a freelance writer for hire without having the pinch of self-flattery. Do you want to know the most disliked thing by a content hirer? It’s those silly grammatical and vocabulary errors that the writers make! Being able to convert the thoughts into a 1000 word article doesn’t make someone a good writer. If your language foundation isn’t strong, you are bound to make mistakes now and then. It’s the primary requirement for freelance writing jobs for beginners! Take it as a rule of thumb – go high or go home! Take action today for grammar foundation, grab a copy of High School English Grammar and Composition by Wren & Martin. Though meant for high school students, the book has everything you will ever need in grammar from basic parts of speech to advanced structures! Let me expose a myth for you! You don’t need an unyielding vocabulary while seeking online writing jobs from home! Here’s the logical proof: Almost every content writer demands content which is easily readable by their audience, not a piece of high-level English suitable for American Classics! Ever noticed how simple the articles of prominent websites are? Ever found difficulty in understanding any of those articles? If your vocabulary is quite near average, you can read Word Power Made Easy by Norman Lewis. You may also use the awesome tool, Grammarly to generate mistake free content. Have you heard about Blogging? If not, please check, Guidelines To Start A Blog and other blogging related piece of content. Many smart content writers maintain a decent blog for attracting clients. They don’t even monetize their blog with ads or affiliate marketing. They just blog to show off their writing skills to their clients! And what do the clients do? If the blog is good enough with authoritative content (traffic doesn’t matter here), you would instantly be hired for blog writing jobs with awesome pay rate! Moreover, your blog’s niche should be the niche for which you can write seamlessly, something of your deep interest and where you intend to attract clients. There’s no point in maintaining a tech blog if you want to start your freelance writing journey in the health niche. A lot of sites, including many authority ones allow guest posting and you may approach them to perk up your skills and get online content writing jobs. While they’re doing it for getting free content, you can use the guest blogging opportunity to take advantage. Find top-notch blogs where you can attract clients and pitch them for a guest post. Most of the authority websites receive a lot of requests each day, and your e-mail can quickly reach their Trash folder if you aren’t appealing enough. Learn to sell yourself correctly. On an average you can expect one out of five blogs to accept your content, so make sure you have a good list of potential blogs that accept guest posts. Replace YOUR NICHE with the appropriate thing. This will search for URLs with “Write for us” in the title and your niche name used elsewhere. Read a lot – This is a bit of personal advice from my side. If you are a beginner looking for content writing jobs from home, you should read more than what you write. It would help you learn to express your thoughts by writing. Yes, quality reading would help you build a vision required to write excellent content in almost every niche. Such vision is something your clients crave for and something most of your competition doesn’t have. Content writing job seeker should allocate an hour a day for reading a variety of content from books, newspapers, blogs, sites like Quora, etc. Writing would improve your article structure and speed, but reading would improve the heart of the content! How Can beginners Find Clients To Do Writing Jobs From Home? If you want to get paid for writing, just follow the essential strategies listed below! Being part of the content team of a blog would be great! Such a job is long-term, decent paying and trustworthy! You will develop expertise in the field along with fame. Besides, being in the companionship of other writers is very advantageous. Here’s a Google search pattern to find blogs that hire writers! Action plan: Such blog founders look for just two things – your expertise in the field and your capability to fulfill the taste of their audience. If your blog is in the same niche as theirs and has almost the same quality of content, you will be hired almost instantly. Many bloggers don’t even think of placing a “We are hiring” page on their blog. Therefore, it’s your duty to reach out to them. Take time to discover blogs which tend to match your content writing style. Reach them one by one asking for a job. If your efforts are good enough, you will land a nice job, and the best part is that your competitors would be awestruck with your success – just because they didn’t even see the job before you landed there! I think that it is the best idea for freelance writing jobs for beginners to step into this online earning opportunity. Action Plan: Success rate here is quite low. Make sure to create a spreadsheet with a lot of potential websites and approach the owners one by one. Freelance writing marketplaces are way too populated, but it is crucial to be there. Why? Creating a profile with your details doesn’t take time and this exposes you to a big list of clients. Though it is competitive, you can land a long-term job or two with it! Online writing job seekers should have their resume on freelance writing portals. Action Plan: Make sure that you have created an account on the main freelancing portals and spend time creating an appealing portfolio. Don’t hesitate in investing money in paid listings. Your competitors might be stingy, but you should spend money if need be! Also, don’t neglect less popular portals. Less popularity also means less competition. Freelance writing jobs are becoming popular as it is one of the best ways to make a recurring income at home. If you are the one who enjoys a lot with your creative writing skill, you may look for some freelance writing jobs for beginners to advance your talents. Let me be brutal enough – you would have the tough time promoting yourself in the initial days of your career. But trust me, things will get better as time passes by if you work in the correct direction. I hope this article would be helpful to get writing jobs from home. What are your thoughts on entry-level writing jobs? Do you have something to add about online content writing jobs? Let me know through the comments section. Freelance writing can bring us good money from online if you are a vivid writer, I know so many bloggers who completely depend on freelance writing to earn money. You have clearly mentioned some tips on how to improve writing skills and how to exhibit your writing talent through your blog, this article really helps new bloggers to earn some decent amount, thanks for sharing the information. I agree with your viewpoints that most of the bloggers make money by offering their writing service and make a decent income with it. 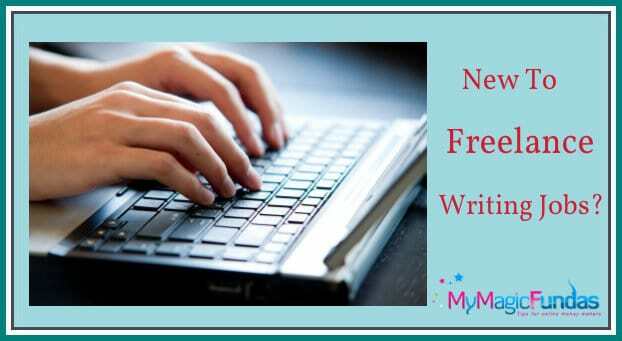 Freelance writing is an evergreen field as the internet usage is getting increased day-by-day. People would like to search the information on the web and if anyone could reveal the essential stuff in a precise language, then he/she has more potential to make income at home. Thanks many for your kind appreciation, I always like to write the awesome piece of content for my beloved readers. I feel good with your constant support by visiting often here and providing your social signals for my blog posts. Have a good day, everyday! Thanks for sharing this article with some useful portals that provide content writing. I have started a new website and I need a technology related content writer, so, I am searching web for such portals who provide these services and you gave me a idea on this and my search has been narrowed. Thanks for sharing this article, appreciable work by you and very useful for blogger like me who are searching in need of content writers. Glad I could help you through my post and thanks for your kind appreciation. Good to know that you’ve started a new tech blog, my best wishes for its grand success. Getting a good content writer is an overwhelming process, but once we find the right person, everything would go in a nice manner. I have been working with few content writers and they are just awesome & affordable as well. Well one of my friend was looking for writing jobs from home I guess I can easily share this post so that he can learn more about. Yes, you may share these details and help him to get the right job, thanks! it is easy to get freelance writing jobs if you run a blog, as one can see the samples of your writing for easy hiring. And also thanks for sharing the many other tips too. Exactly Robin! I’ve told the same. If anyone would like to make a huge income at home with writing skill, then he/she should have a blog to showcase the writing samples for the clients. Cheers you liked these beginners tips, keep coming! I my self am looking for writing job in online. Thanks for giving the suggestion you have given me. Now I will be able to share with my friends too those who are looking for online writing job from their home. Welcome to my blog and great to know that I helped you with the essential materials that you are exactly looking for. Sure, implement the listed strategies and share the details with the ones who are looking for the ways to make income with their scripting skill. More stuff are yet to publish, stay tuned! I would appreciate your writing strategies Pavitra Kumar, keep going, thanks for reading the post. The issue of “How Beginners Can Get Freelance Writing Jobs From Home” has been a great concern to so many folks including myself, coming to read your explanatory post herein has lifted the limitations i once had. I want to quickly use this medium to inform you and other web users that my blog Efogator.com if free and safe now. Wow! what a great blog post indeed here ! after a long time i started reading blog articles from my mates you and more bloggers. This is fantastic post to get learn all things about freelancing and how to attract costumers by writing a catchy profile BIO. Here you have included all important points. I feel good with your kind appreciating comment, Jack. Good that you have started to read the blog posts to stay updated. You are welcome, keep coming! This is a excellent post to get out the best articles. I am very happy to read this blog. Keep updating great content. Thanks for your visit Ganesamoorthi, glad that I get a loyal reader. BTW, where are you from? Are you in the Tamil Nadu bloggers WhatsApp group? Sure, I’ll try my level best to offer helpful content for my beloved readers, you stay tuned. These are some great ideas to get started with freelancing. May I also add to the list that job boards are an easy way to get started? Even after setting up a nice looking blog or website, a newbie freelance writer is still going to need portfolio pieces, testimonials, and so forth. So it’s a good idea to hunt some writing jobs on platforms like Upwork and People Per Hour, even if they pay a little less than would be ideal. Everybody starts somewhere. It’s not that new freelance writers lack the skill to do the work — but they do generally lack the evidence upfront. And while guest posting and such, it doesn’t hurt to proactively apply to writing jobs that small business owners are posting online. Freelance writing could offer us good money just by sitting at our homes. They indeed make a good opportunity of being self employed. content. Also depends upon our writing skills. This something very useful for the newbies like me, who has not been here for a long time. Thanks for adding value to my post and yes, I agree with your viewpoints on earning income through writing. Newbie? Are you a newbie blogger or writer? 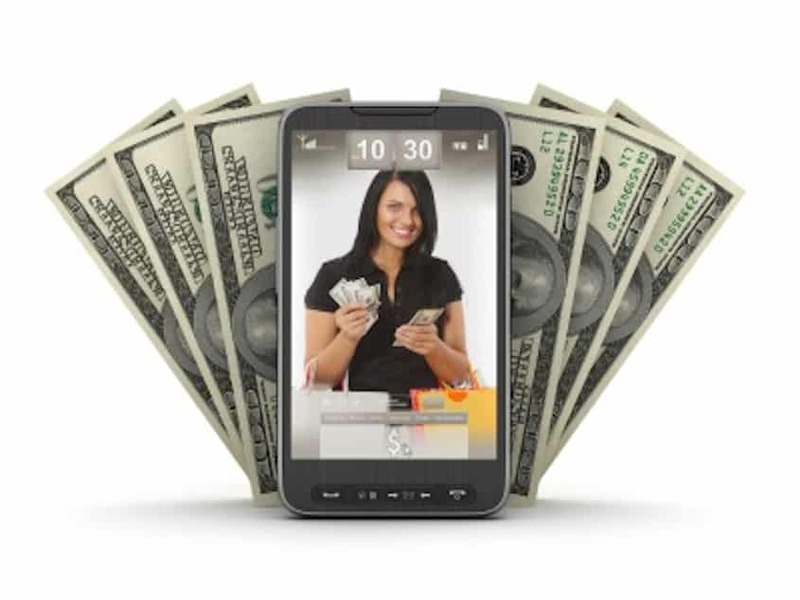 This is an informative post for people who looking to earn money from home. Your tips about improving writing are very important and every freelance writer have to follow it in order to bring their self on top. But sadly, nowadays, lots of freelance writer work for only money and sometimes their content in the post is meaningless. Anyway, it’s a good share and keep post such posts. Thanks for your appreciating comment Charles! I agree that many writers are just working to make money and adding irrelevant/unessential words to increase the fee. I have a bitter experience with a writer. He had provided me the copy content and I found through a premium plagiarism checker. It would be good to keep an eye on such kind of guys are they work for the sake of grabbing the bucks from the clients. Thanks again for sharing your opinion, keep visiting to leave your valuable thoughts. Just Excellent Beginners Guide! A beginner can find a lot of things that help them to get hired. Even, the tips provided by you are just wonderful which also help one get good skill of writing. It is great that you have included those books in the writing from where one can learn that is I think is the different from other content available on the web. Great ideas and guidance on finding more opportunities for freelance writing jobs for beginners.I also have blog and i am going to add hire me link so i will get opportunity to get hired by the audience want my services. Good to know that you are going to implement the suggestion provided by me. Thanks for showing interest to read my post, Shajeer. Keep writing and stay tuned! Thanks for Information about Freelance Writing Jobs. Your Article is impressive and very informative. I am now regular visitor of your website and bookmarked it. Good that become a loyal reader by bookmarking my blog, Bruce. Pleasure to write and share the helpful stuff. Stay tuned!